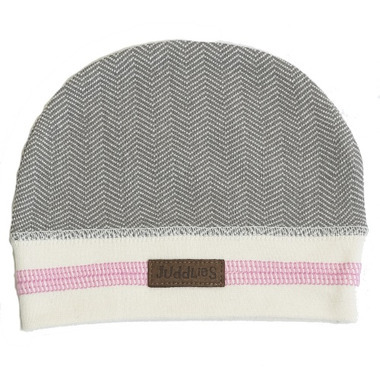 The Juddlies Designs Newborn Cap was designed with you and your baby's needs in mind - Juddlies takes their fun clothes seriously! With Juddlies they give you quality, generous sizing, cotton softness, and great design that allows for easy use. All parents will need a couple of these as soon as the baby arrives. This hat is the perfect fit for the newborn head and essential to help keep the baby cozy. Sweet little newborn hat, great fit for newborn with room for growth. Soft and beautiful, very highly recommended!!! super cute looking hat,however did not fit a newborn was actually quite small. purposely bought as almost all other newborn hats were too big and this one did not fit. Such a cute and simple hat. Bought it as a gift with the matching sleeper.